Shaq vs Charles Barkley 3pt shootout - Inside The NBA. Related Videos. Shaq Vs. the Bigshow. ... Charles Barkley vs Shaq lift off. Funniest Shaq Moments of All Time. 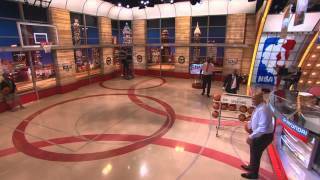 Shaq vs Charles Barkley 3pt shootout - Inside The NBA Views: 589,790 Description Twitter : ... Inside The Nba - Shaq Playing Hurt - (23-4-13) 24 Apr 2013 112,806 views.